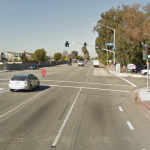 Huntington Beach, CA (June 1, 2013) – Kelly Morehouse, a passenger on a Harley Davidson motorcycle, was killed on Saturday night when the motorcycle on which she was traveling was struck by a drunk driver. Kelly Morehouse, 25, of Huntington Beach, was a passenger on a motorcycle. 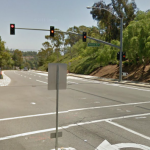 She died about three hours after the collision at UCI Medical Center in Orange. 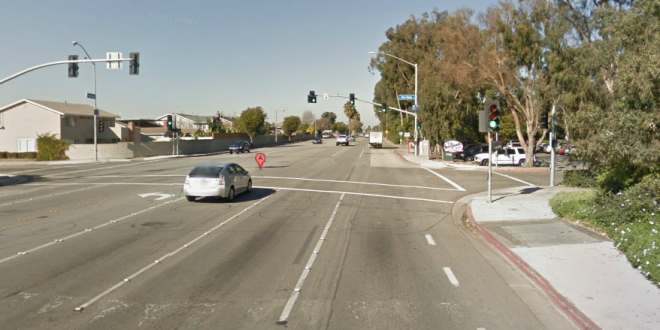 The crash happened at the intersection of Goldenwest Street and Rio Vista Drive at 8:35 p.m., near Huntington Beach Central Park and the popular Park Bench cafe. Morehouse was on the back of a black 2012 Harley Davidson motorcycle when she was struck by a Lexus driven by Tadashi Mizutani, also of Huntington Beach. An executive of a residential care corporation, Tobelas Corporation, Mr. Mizutani was arrested and booked in Huntington Beach where he posted $100,000 bail. The judge at his first appearance will decide whether or not Mr. Mizutani is a flight risk or a danger to the community. If the judge decides he is, then he may decide to increase the bail on Mr. Mizutani, order electronic monitoring, or require him to surrender his passport. He will likely be charged with felony drinking and driving, and if found guilty by the court, will face significant jail time, fines, restitution and lose his privilege to drive for one year or longer. The motorcycle driver, who is 24 years old, is in stable condition, according to Huntington Beach police. Under California law, her heirs have a claim for wrongful death. These claimants may include her children, if any, siblings and parents. They are entitled to wrongful death damages, which include economic and non-economic losses. super sad. rip Kelly. hopefully Mr. Mizutani is remorseful. this is an awful mistake. Life in prison – for a life taken while driving drunk. NO EXCEPTIONS. Wow… I'm so sad to here the news tonight and realize they were actually talking about the Kelly Morehouse I knew from school. You were one of the funniest and wittiest classmates I have ever had. Rest peacefully Kelly <3. That's so sad, way too young. Rest In Peace Kelly Morehouse…I met you once at the Sugar Shack You waited on myself and my family on my son Mitchell Stevenson's 21st birthday…you had no cakes only a cinnamon Roll that was so hot he burned his mouth even after your warning to him of how very hot it was you put a candle in it and made it a very special and very memoriable 21st birthday for my son and my family…God Bless your Soul dear sweet girl, your with the Angels now! God Bless your entire family my prayers are with them all! <3 <3 <3. So sad such a sweet life taken ! Terrible news! Our hearts go out to Bill. There are no words to describe how sad we feel at the news of Kelly's passing. Kelly Blue Morehouse was a Waitress at the Sugar shack in Downtown Huntington Beach and I saw her often when I ate there.Sad Loss for everyone connected to the Sugar Shack! Bob, Cathey, Zac and Casey Zac Ryder. We are all terribly saddened by the tragic news of Kelly's passing. Our thoughts and prayers go out to Bill. Oh…I am soooooooooo saddened…her Mom was my student teacher my senior year of high school…praying for the family.